This recipes was passed along from a family friend many years ago. 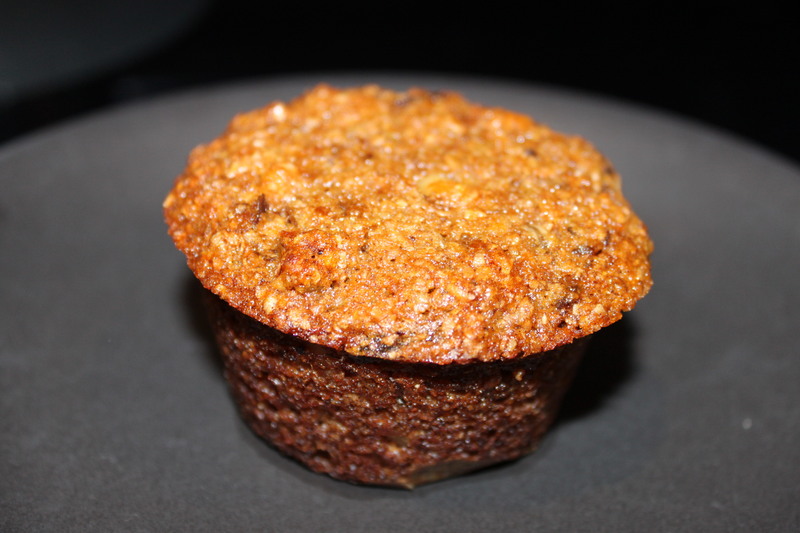 It has always been my favourite bran muffin recipe. They are super moist and delicious. I am always playing with the basic recipe depending on what I am craving. These are packed with fibre and my son calls them “Poop Muffins”. Ha! Ha! It is for this reason that I rarely serve them to company. Not so much because of the effect they might have on guests, but more to avoid the embarrassment my son asking if he can have a “poop muffin” in front of company. Mix the above dry ingredients in a large bowl. Mix wet and dry ingredients just until blended. Bake in greased/lined muffin tray at 375 degrees for 15 to 20 minutes. I usually cut small squares of wax paper that sit in the bottom of the greased tray. My mom used to do this and it seems to help prevent the bottom from sticking to the pan. Turn cooked muffins upside down on a cooling rack. Once cool, store in an air tight container or freeze in a ziplock bag. The recipe makes a dozen, but of course I couldn’t wait and ate one before I took the photo. You can see the little wax paper squares on the bottoms. You can see the little wax paper bottom that I peeled off. In lieu of the raisins I have used, cranraisins, dates, prunes, chopped apple, etc. In my last batch, I microwaved about 3/4 cup of dates with a T. of water and heated until the dates were soft enough to stir. I then added a banana and mashed it together. I also threw in 1/2 of chopped walnuts. Get creative and toss in what ever you fancy. Enjoy! Posted on November 22, 2013 by Cindy Roy •	This entry was posted in Muffins & Loaves, Recipes and tagged bran muffin recipe, bran muffins, super moist bran muffins. Bookmark the permalink.